In 2015 the Coalition initiated the Multi-Sector Partnership Initiatives to build upon its core work of research and education. 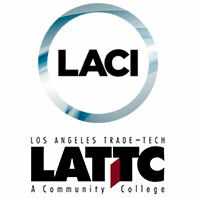 By leveraging its expertise, resources and networks the L.A. Coalition was able to identify and support collaborative partnerships designed to achieve tangible and measurable solutions to definable challenges facing the Los Angeles region and its economy. The Operations Innovation Team, Fuse Corps-Los Angeles, NoCal & SoCal Water Coalition, and the Mayor’s Cup Competition are the first four L.A. Coalition innovative partnership projects. They are designed to help strengthen the relationship between the public, private, and non-profit sectors and foster increased collaboration and joint-problem solving. Leveraging resources from each sector, individuals and teams are deployed inside local governments and/or partnered with government leaders to identify and implement solutions to complex public policy challenges. Areas of focus include quality of life issues, improving government functions and services, and leveraging public resources to create economic growth, quality jobs and skills development opportunities in the Los Angeles region. The L.A. Coalition and its partners provide ongoing support for these projects to increase the probability of success and to help ensure it is a productive and positive experience for all involved.